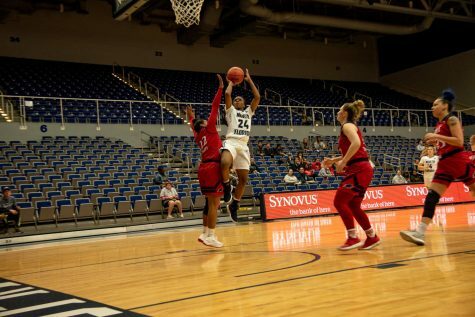 The first quarter was lackluster for both sides early in the game as both teams were held scoreless in the first two minutes until Redshirt-Junior Keri Jewett-Giles made a layup close to the rim to put the Eagles up, 2-0. 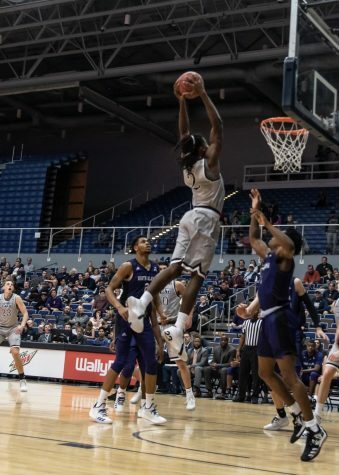 It was tough for the Ospreys to find the hoop throughout the first quarter until they scored on three straight baskets to end the quarter, 14-7. 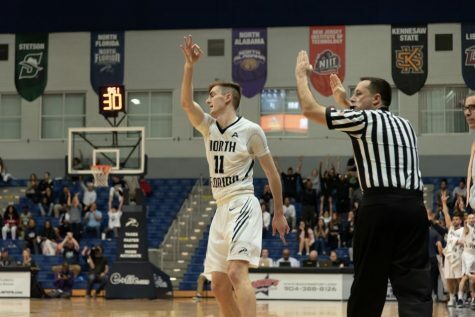 The Eagles continued to pour it on in the second quarter as they executed on open threes and took advantage of UNF’s 12 turnovers. Jewett-Giles scored 12 points in the half and was 2-4 from long range. 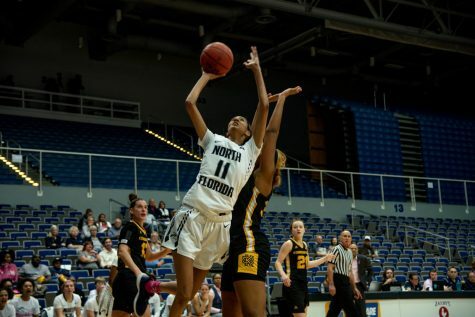 Redshirt-Sophomore Jazz Bond recorded nine points for the Ospreys with six rebounds. 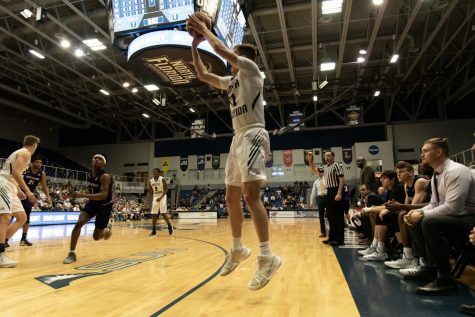 The second half was all FGCU as they didn’t loosen the reigns and kept a competitive mentality. The Ospreys continued to fight until the last second but it was too late for a comeback. 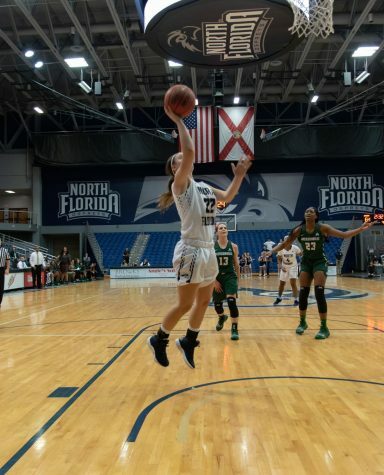 Although UNF outscored the Eagles, 19-16, in the fourth quarter, FGCU won, 80-48. The 23 turnovers were the major difference maker in the game as the Eagles scored 28 of their points off turnovers. Bond finished the game with a double-double (18 points and 11 rebounds). 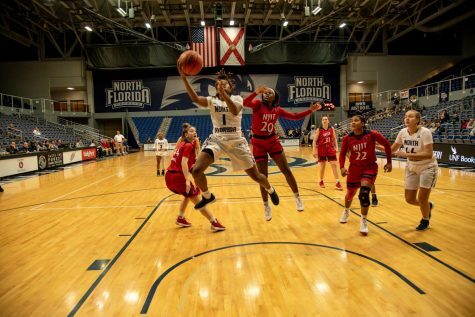 Junior Adrienne Jackson scored 10 points and led the team with four assists. 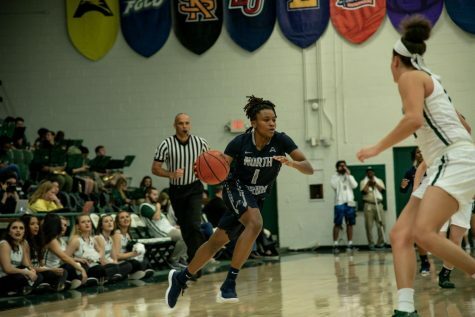 Jewett-Giles led the Eagles with 16 points and seven assists. 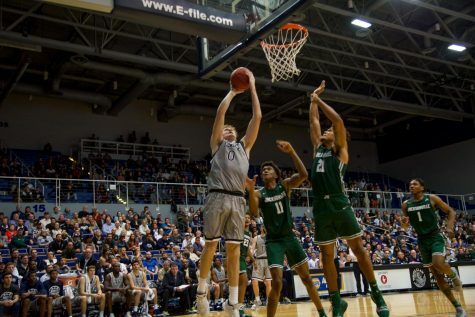 Redshirt-Sophomore Chandler Ryan scored 15 points (5-9 from the field). 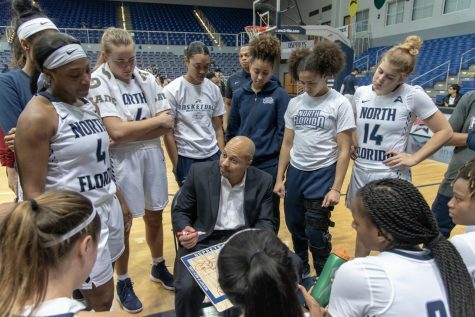 This loss drops UNF to 7-11(2-5 ASUN) and the win improves FGCU to 15-4 (6-0 ASUN). 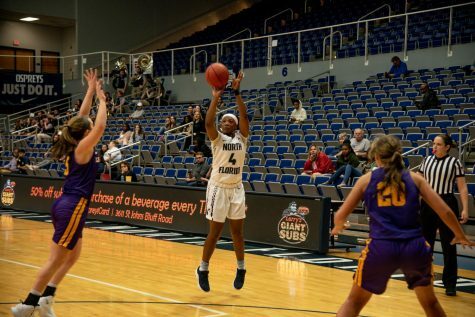 The Ospreys travel to Kennesaw as the team takes on Kennesaw State on Tuesday, Jan. 29 at 11 a.m.